In cases of diarrhoea and dehydration it is important not only to replace the flora but also the electrolytes. Altaflora Electrolytes sachets contain lactobacilli and electrolytes that are easily soluble giving an excellent vanilla taste. 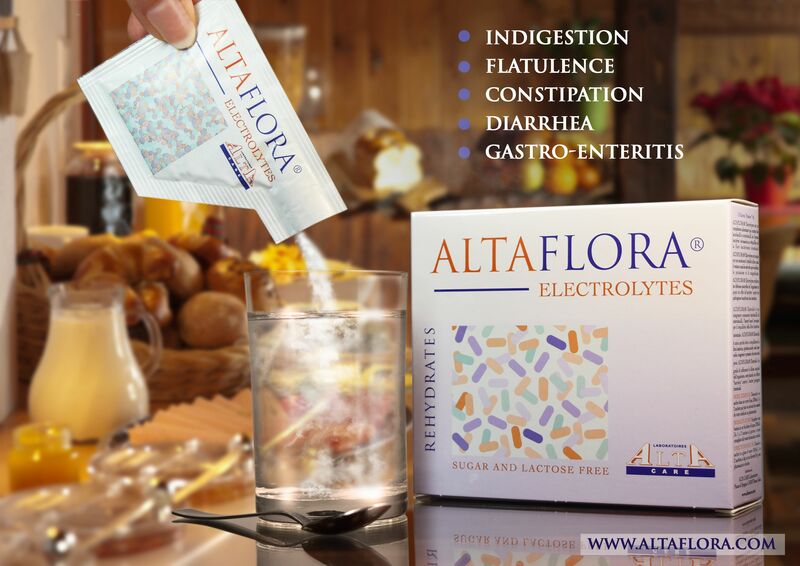 Altaflora Electrolytes sachets is a treatment for inappropriate diets, stress, aging, antibiotic therapy, peristaltic disorders that cause indigestion, flatulence, constipation, diarrhea, gastro-enteritis. Altaflora is suitable for children as from newborn and can be mixed with milk in cases when diarrhea is not present. In many European countries doctors prescribed one sachet of electrolyte sachets and 1 sachet of probiotic sachets containing flora every 8 hours in cases of diarrhoea and dehydration. 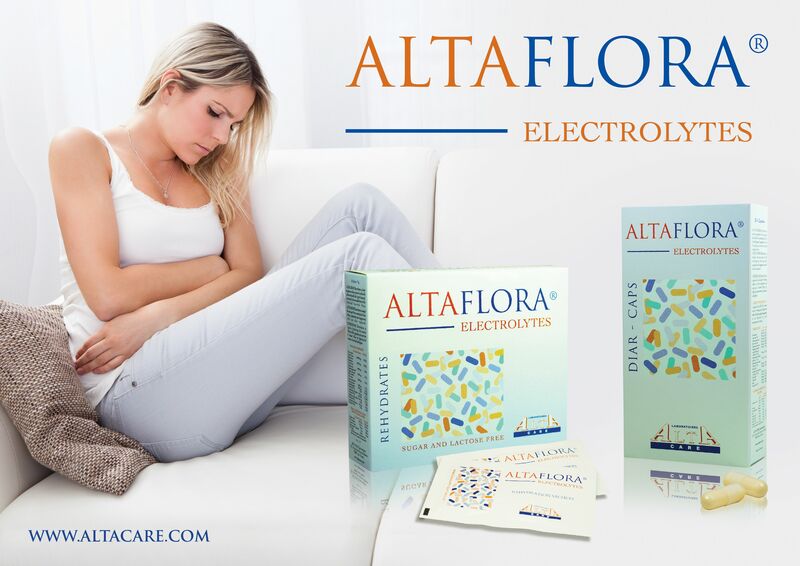 However now with Altaflora electrolyte sachets by Alta Care Laboratoires it is possible to have both electrolytes and flora in one sachet. ALTAFLORA® Electrolytes is capable of enforcing the natural defences of the organism and exercise a "barrier" effect by fighting the intestine's bacterial pathogens. Altaflora Electrolytes sachets is also used in many European countries apart from a treatment of the above to also flatten the belly and keep a good figure. Altaflora Electrolytes sachets acts immediately and flattens inflated bellies in no time. Patients with inappropriate diets, stress, aging, antibiotic therapy, peristaltic disorders that cause indigestion, flatulence, constipation, diarrhea, gastro-enteritis. Dissolve a sachet in a glass of water or lukewarm milk (not in cases of diarrhea). 1 to 2 sachets a day. Bear in mind that Altaflora Electrolytes does not contain sugar and is lactose free.